Did you know that PlayEuroLotto.com is one of the world’s leading providers of lotto betting? In this article, we’re going to explain what lotto betting it is, and how it differs from buying traditional lottery tickets. What’s the difference between lotto betting and buying lottery tickets? It’s really quite simple. When you buy a lottery ticket, you’re entered into a lottery draw; whereas when you place a lottery bet, you’re betting on the results of a draw. In lottery betting, players choose their lucky numbers in the normal way, and they get the same prizes if their numbers get called. The only significant difference is that your bet is organised with a bookmaker, not a lottery draw operator. In the case of PlayEuroLotto.com, we’re the bookmakers, and you’re the potential prize-winner. Is lotto betting safe and legal? Yes! Lotto betting is a perfectly legitimate form of gambling that’s popular with lottery fans around the world. 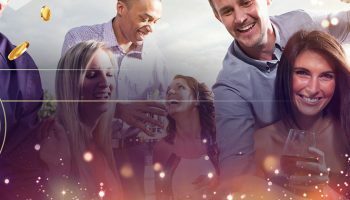 For our part, PlayEuroLotto.com is an officially licenced gambling operator with a reputation for great customer service and safety. We take several measures to ensure you can play online lotto safely. Our site in SSL protected, and all your bets with us are fully insured. Why place a lotto bet instead of buying a lotto ticket? We can think of lots of good reasons why lotto betting is the best way to play for the jackpot – otherwise we’d be in the lotto ticket business! Above all, lotto betting gives players all around the world a way to get involved with the biggest international lotteries. Draws like EuroMillions, EuroJackpot, MegaMillions and Powerball all have geographical restrictions, meaning they are only officially available to players in a minority of countries. Lotto betting opens up games like these to players everywhere. Wherever you’re from, it’s a fact that you would not be able to participate in all the great lotteries featured on our website if there was no such thing as lotto betting. Another benefit of online lottery betting is its convenience. There’s no need to go to the shop to buy a ticket, and we’ll email you straight away to notify you of important things like prize wins, promotions and bonuses. How can you be certain you’ll get your winnings from your PlayEuroLotto bet? PlayEuroLotto is accountable to the law, just the same as a traditional lottery operator or bookmaker. We’ve paid out tens of thousands of prizes to date, and we look forward to paying out many, many more in the years to come. When you bet online with PlayEuroLotto, you get a binding confirmation of your bet by email, plus an entry in the My Tickets section of your player account. This guarantees safe delivery of your prize in a way paper tickets can’t. Are PlayEuroLotto’s prizes the same as the official lottery’s? That’s right! If you win a prize with us, you’ll win exactly the same amount you would have won in the official draw. Are there any more advanced betting options on PlayEuroLotto? You betcha! PlayEuroLotto is home to three of the most exciting, prize-packed lottery syndicates on the planet. By signing up to one of our syndicates for a monthly fee, you get a share of 100+ lottery lines every week. This provides a massively increased chance of winning a serious prize. If you’re serious about increasing you chance of winning big, we urge you to find out what our lottery syndicates have to offer. Why did PlayEuroLotto decide to set up as a lottery betting company? 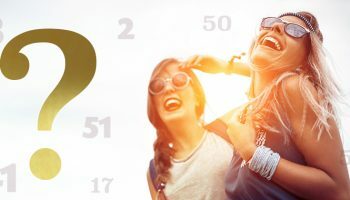 PlayEuroLotto started out about six years ago, when our company’s founder realised most people around the world had never had the chance to play in the biggest lotteries. The USA and a handful of other countries were getting all the best opportunities, whilst people elsewhere had to make do with jackpots several times smaller. Since then, we’ve made it our mission to open up the biggest lottery thrills in human history to everyone – and it’s all been made possible by lottery betting!